Bermuda is a nature-lover’s paradise, and ideal for safaris by scooters and whisper-quiet hybrid electric bikes: 100% enjoyment, 100% pleasure, 100% fun. Any trip round Bermuda by scooter, electric bike, or mountainbike is a mini adventure in eco-tourism. There’s so much to see, and it’s all within your reach. Seabirds soar overhead, brightly coloured crabs scuttle among the rocks, and on special nights each year, a galaxy of tiny phosphorescent sea creatures light up the foreshore. To get closer than you ever thought possible, take a trip to Dolphin Quest. There, you can enjoy the experience of a lifetime when you swim with the Atlantic Ocean’s friendliest dolphins. For a fascinating peak at life within the swaying coral reefs, the Bermuda Aquarium is unbeatable. You’ll discover that Bermuda is no more than a tiny cap on a vast undersea world of dazzling colour. Away from the hustle and bustle, the Spittal Pool Nature Reserve is an enchanting 64-acre example of how Bermuda was before humans sailed in on the wind. This idyllic and untouched world is criss-crossed with narrow forest trails. Point Pleasant Park, as the name suggests, is a pleasurable and enjoyable park situated in Bermuda’s capital Hamilton City. Found specifically at the famous Albuoys Point at the water front, the park and area boasts lots to do and see for locals and tourists alike. The Heydon Trust manages a stunning private park and gardens in the Parish of Sandy’s in Bermuda – also home to the Island’s smallest church. Bermuda was once quoted as being the ‘Montpelier of Americas’. A strange comparison to some, but, when it comes to the similarities in climate with the French city, there’s some truth in it. Located on a hill, high above Mangrove Bay in Somerset, the Gladys Morrell Nature Reserve in Bermuda is a great place to visit, whether you’re visiting Bermuda for a few hours, a few days or a few weeks. While many people know about the beautiful beaches and the turquoise waters of Bermuda, there are many other treasures on the island that tourists have no idea about. We have the chance to live in a place where nature is still important and preserved. Nature is without a doubt the best feature of Bermuda, whether it is the crystal-blue ocean, the pink-sand beaches, the luscious flora and trees, or the many species of birds and other fauna. Palm Grove Gardens – An Oasis In Bermuda! Bermuda is a nature paradise with its lush vegetation helped by a perfect subtropical climate. Wherever you go on the island, you will find gardens and bushes of endemics and invasive species that gives Bermuda some of its charm. Isolated in the middle of the Atlantic Ocean, Bermuda has very little reserves of fresh water, so a pond is always a haven for the fauna, especially native and migratory birds. Enjoy the lush greenery of nature at Bermuda Botanical Gardens at Point Finger Rd on in Paget Parish. It is situated near the city of Hamilton. When walking down Bermuda’s capital city Hamilton, you could stop at the pleasing Par-la-Ville Park. 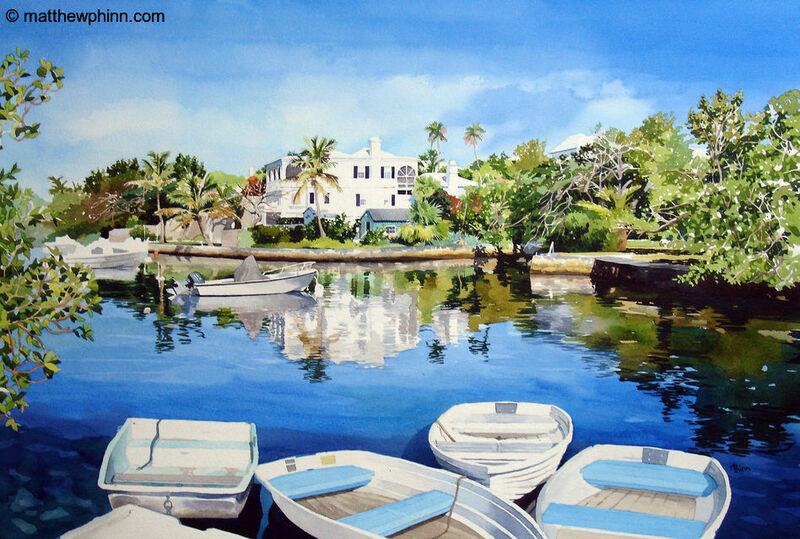 Feel like taking a walking holiday around Bermuda and enjoying the scenery? Then why not catch The Bermuda Railway Trail? This is a spectacular walkway and biking lane across a large stretch of land. It had previously been part of the railway track. But it is now a tourist excursion covering the island. Would you like to breathe in some delightful greenery, plants and flowers while visiting Bermuda? Then saunter down to stunning Somers Park. Victoria Park is a cosy public park in the capital of Bermuda. The Park was built n 1880 to celebrate the Golden Jubilee of Queen Victoria. It is now overseen and operated by Hamilton Corporation. There are many caves in Bermuda, formed by the water travelling down the limestone to rejoin the ocean. Caves come in all sizes and shapes on the island but the Crystal Caves, on Hamilton Parish, are the largest and the most famous. Are you searching for the perfect place to get away from it all in Bermuda? 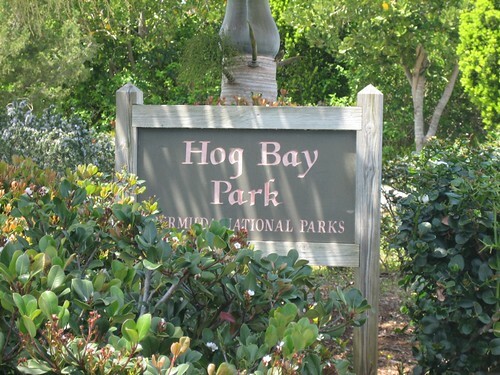 Then you will be in heaven at Hog Bay Park.